From burgers to burritos, nearly everything you might order from a fast food restaurant can be found on the colorful menus included in this hands-on, practical math series. 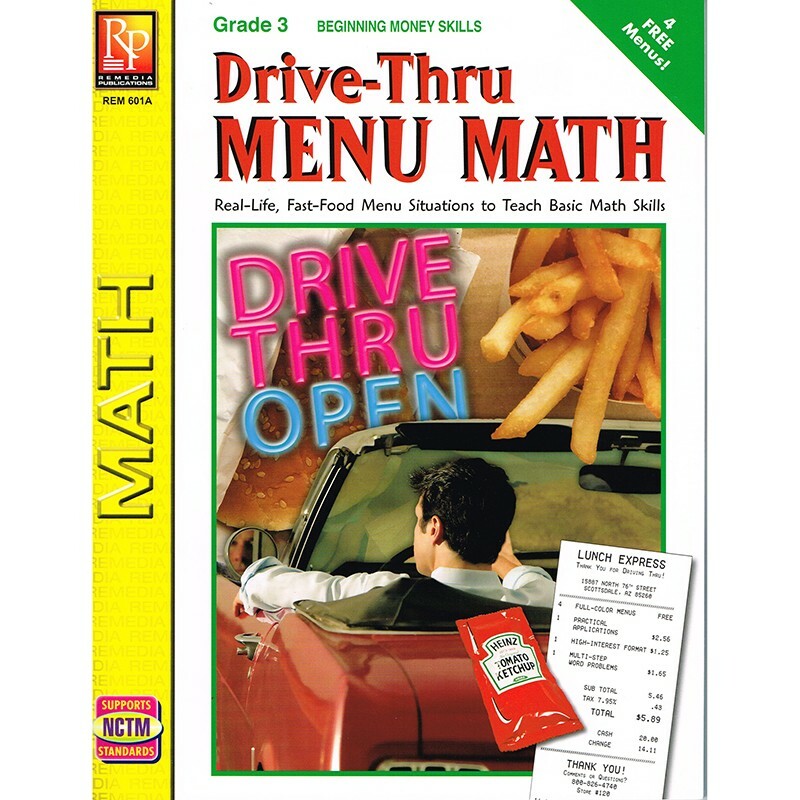 Students solve computation and real-life word problems by referring to the highly visual drive-thru menus. Figuring food costs, computing taxes, and making change are just a few of the skills covered in this hands-on series. Math objectives are clearly stated on each page making it easy to focus on the skills your students need most. Beginning book teaches simple addition, subtraction, and multiplication using visual cues for students with limited reading skills and includes 2 unique menus. 48 pages.